If you consume any kind of news, you might think race relations in America has hit an all-time low. Jussie Smollett’s alleged racially-charged attack joins the host of other hate crimes supposedly perpetrated by Make America Great Again Trump supporters that made national news but turned out to be untrue. Jussie was capitalizing on the leftist narrative which depicts America as oppressive and President Donald Trump, Trump supporters, and conservatives as determined to drag us back in time to segregation and perhaps even slavery. Like Bill Clinton, they claim that the slogan “Make America Great Again” is a racist dog whistle. The drumbeat that America is racist and black people should be in constant fear for their lives distracts from our progress and discourages healing and unity that should be achievable. The impact of this concerted PR campaign is clear. According to new Gallup polling, a majority of blacks (59 percent) consider black-white relations bad. This is up from just 28 percent after September 11, 2001. At that time, a whopping 70 percent of blacks described race relations as good — even higher than 62 percent of whites at the time. Overall, just half (51 percent) of all Americans describe black-white relations as good. From President George W. Bush’s first term into President Barack Obama’s second term, significant majorities of blacks and whites viewed black-white relations positively. 2013 marked a sudden change when perceptions plummeted 20 to nearly 30 percentage points for blacks and whites. We might trace that to the founding of the activist group Black Lives Matters and the outsized critical voice they’ve had in the public discourse. They went beyond condemning the legitimate issue of police violence and sought to paint America as still overwhelmingly and institutionally racist. As the policing marches waned and perceptions began to improve, the candidate Trump came along and offered a new foil. Lost amidst the fear-mongering is that, thanks to policy changes made by the Trump administration, blacks as a group are economically better off, are enjoying more opportunity, and can look forward to the promise of greater freedom. President Trump is right to tout the lowest black unemployment rate in recorded history, currently at 6.8 percent. Getting black Americans to work reduced the persistent unemployment gap between blacks and whites to just 3 percent. The real world implications of abundant work opportunities are that families have greater resources to chip away at debt, build savings, invest in retirement or their children’s education, and start businesses. Entrepreneurship among minority business-owners has been robust following the recession. African-American-owned businesses increased by 34 percent and Hispanic-owned business have grown at an even faster pace (46 percent). 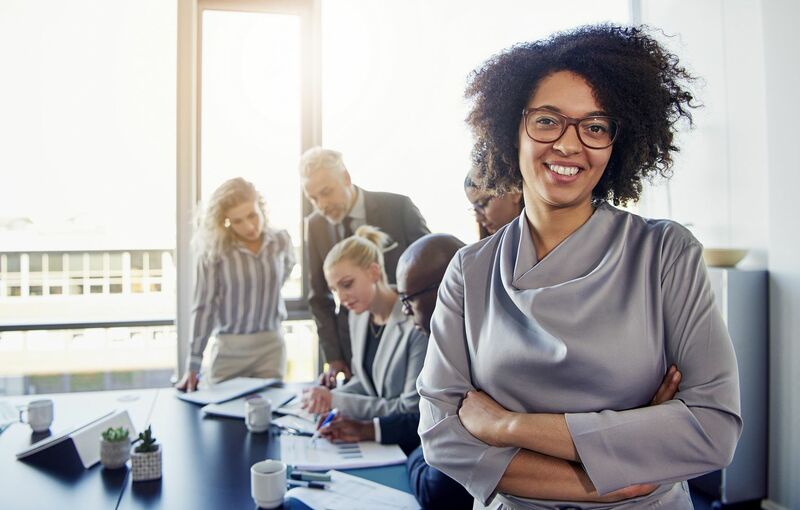 Business growth among women of color has truly been impressive growing at 163 percent — nearly three times the rate of all women-owned businesses. In this strong economy and tight jobs market, something remarkably positive is happening. Companies are considering job applicants who would normally be overlooked, particularly former convicts. The passage of the bipartisan First Step Act championed by President Trump, who worked with lawmakers and groups on both sides of the aisle, will help federal inmates be rehabilitated and gain the training they need to come home job-ready. President Obama could not move the needle on this issue, but President Trump got it done. This issue alone, which affects communities of color disproportionately, should be enough to signal to these communities that this administration is working for their benefit along with the benefit of all other Americans. Yet, black celebrities, athletes, and lawmakers, who were vocal about NFL national anthem protests and took issue with President Trump’s position, have been noticeably silent on the successful justice reforms. We cannot not pretend that there’s no racism in our society. However, we should not ignore the economic progress and sincere efforts underway to provide more and better opportunities for everyone, but particularly for communities of color, today. Jussie Smollett and those who perpetuate the narrative of America as an irredeemable racist country, aren’t helping anyone. They are encouraging people to ignore the opportunities that surround them, but instead embrace the comfort of victimhood and not take responsibility for their fate. The idea that this is a path to happiness is the biggest hoax of all.